Cultivating luxuriously long hair is not just a matter of using the right products in the right ways. Growing a mane of gloriously healthy hair requires gentle, natural hair care accessories to work with the products that nourish hair to its full potential. The right tools in conjunction with the right treatment regimen can lead to beautifully long, natural hair. Using the products without the tools, however, is like clapping with one hand: it just does not yield the intended result. To be effective, hair products must be properly distributed. The nozzles that come with their containers are engineered to deliver the solution at exactly the right rate. 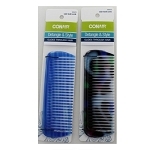 If the nozzle is lost or becomes damaged, it is much less effective to simply pour the product on the hair willy-nilly. Replacing the nozzle will almost always yield far better results. 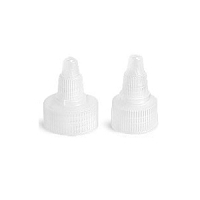 New nozzles come in two sizes: the large fits 4 ounce and 8 ounce containers, and the small fits one ounce or two ounce bottles. Beautiful hair is as much a matter of nurture as of nature. Applying appropriate hair care products exactly as intended is a positive step toward the goal of long, silky hair. As part of a regimen of healthy hair care accessories play a substantial role in maximizing the health and growth potential of natural hair. 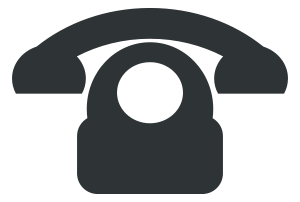 While the quickest way to order hair accessories is through our web site, we also accept orders by phone and by mail to help you achieve your hair care goals.